It’s the warmer weather, it’s the fact that soon enough we have to expose more skin and even get into swimmers, but this time of the year (every year) I find myself on a health kick. For me that means kicking out the carbs and embracing the greens. Salads, salads and more salads…especially when it comes to lunch time. 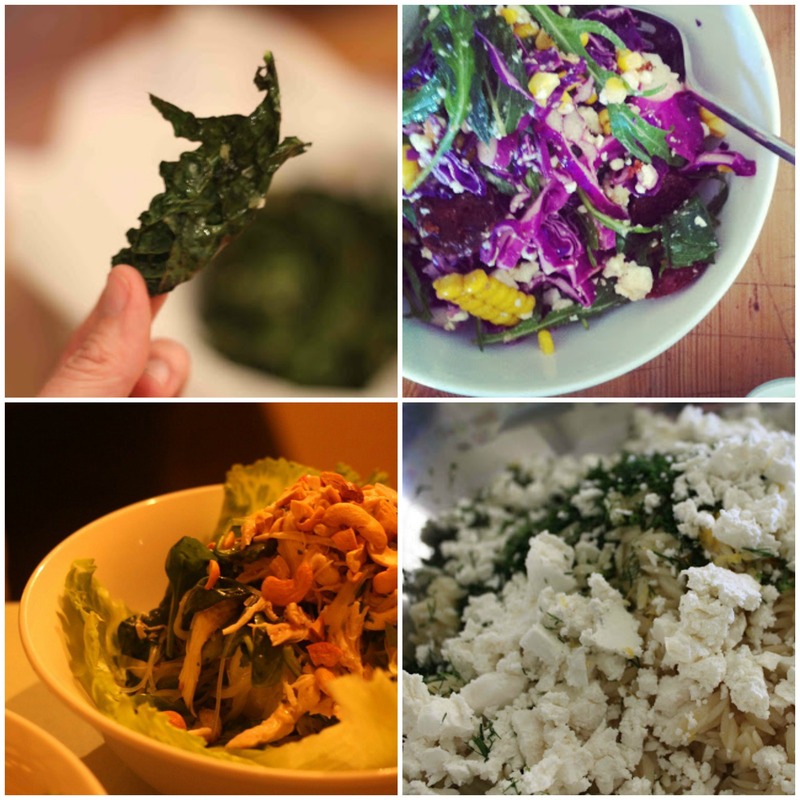 Here are 4 health(ier) options for lunch or dinner….embrace the green this week my friends! Happy cooking…hope it’s a good week for you all! I made your Asian salad last week. Delish. I reserved the water/coconut that I’d poached the chicken in and after we’d eaten I put the left over chicken back into it, so it was a soup for the next day (I chucked in some noodles). There was enough for two. Yum. Great idea Ali…I’ll do that next time! Thai Chicken Noodle…. I am in…. You’re welcome…glad you like them! Does your fat mole salad contain free-range moles? Great ideas Beth I get sick of the same old boring dinners!